Born: 26th January 1889, Ipswich. 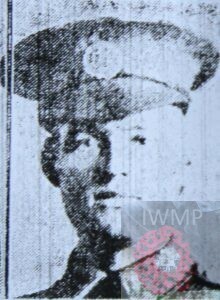 Died: 31st January 1918; age 29; Drowned through collision in North Sea. Enlistment Details: 3rd September 1914 – signed up for 12 years. Height: 5ft & 9 1/4 ins, dark complexion, brown eyes & dark brown hair. Tattooed two flags & anchor left arm, dot & star right arm. 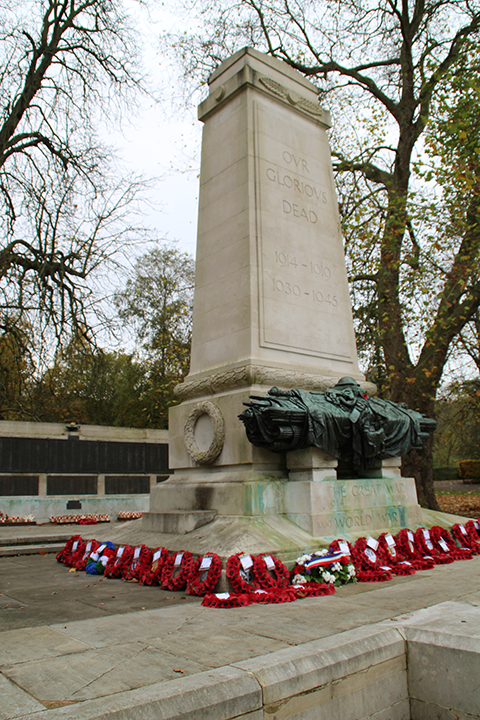 Blake – ERA 4 – 11th November 1914. 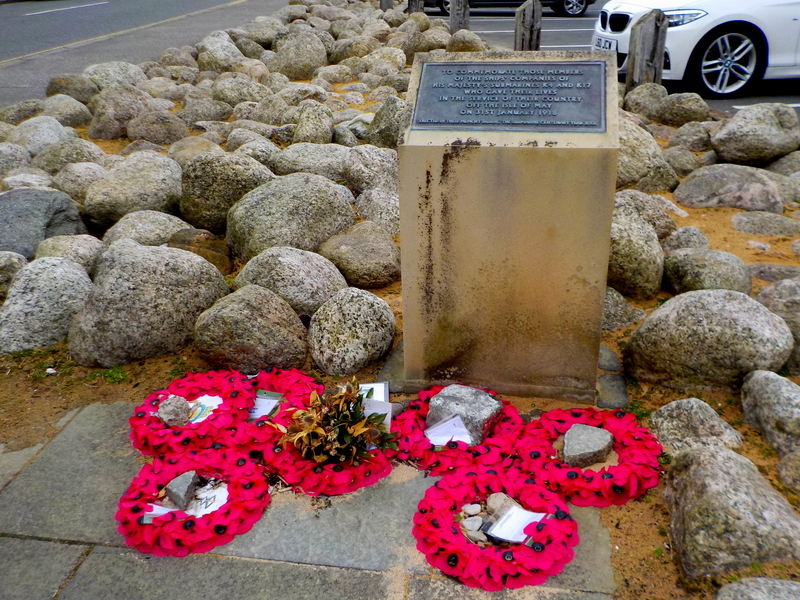 Blake – ERA 4 – 2nd March 1916 – 30th April 1917. K.17. – ERA 4 – 26th September – 1917 – 31st January 1918. Regiment:Royal Navy, H.M. 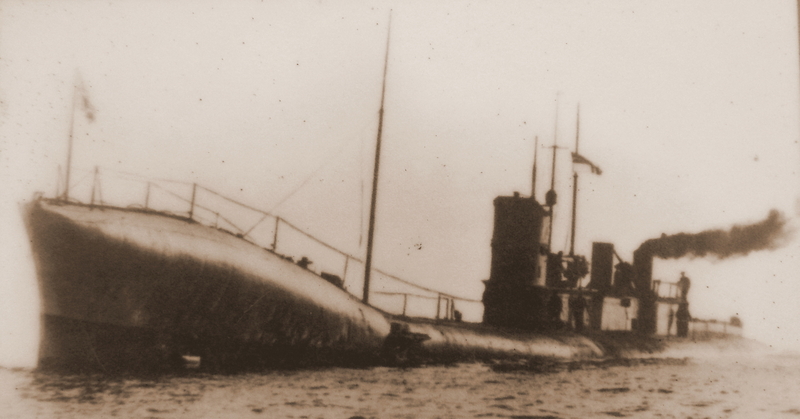 Submarine K.17. 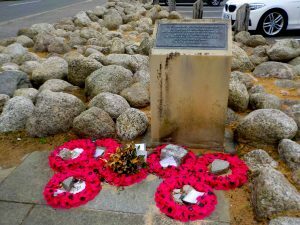 Relatives Notified & Address: Son of John Brown & Henrietta Brown, of 6, Gibson Street, Ipswich. 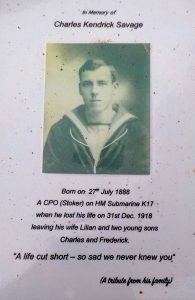 Brother to ROBERT CHARLES BROWN. 1891 73, Regent Street, Ipswich. Jack was 2 years old and living with his parents and siblings. John Brown, 34, a General Labour, born Ipswich. Henrietta Harriet Brown (nee Holder), 33, born Ipswich. Henry Brown, 10, born Ipswich. Hettie Marie Brown, 6, born Ipswich. Mollie Brown, 5, born Ipswich. James William Brown, 1 month, born Ipswich. 1901 6, Cleveland Terrace, Cavendish Street, Ipswich. Jack was 12 years old and living with his mother & siblings. Nellie, 13, a Corset Maker. Robert Charles Brown, 8, born Ipswich. Frederick Albert Brown, 6, born Ipswich. Charlotte Emma Brown, 4, born Ipswich. Alfred Edward Brown, 2, born Ipswich. 1911 Carpenter’s Arms P.H., Norfolk Street, Kings Lynn, Norfolk. Jack was 22 years old, a Boiler Maker, staying at the Carpenter’s Arms – 34 year old, William J. Howell was the Inn Keeper. 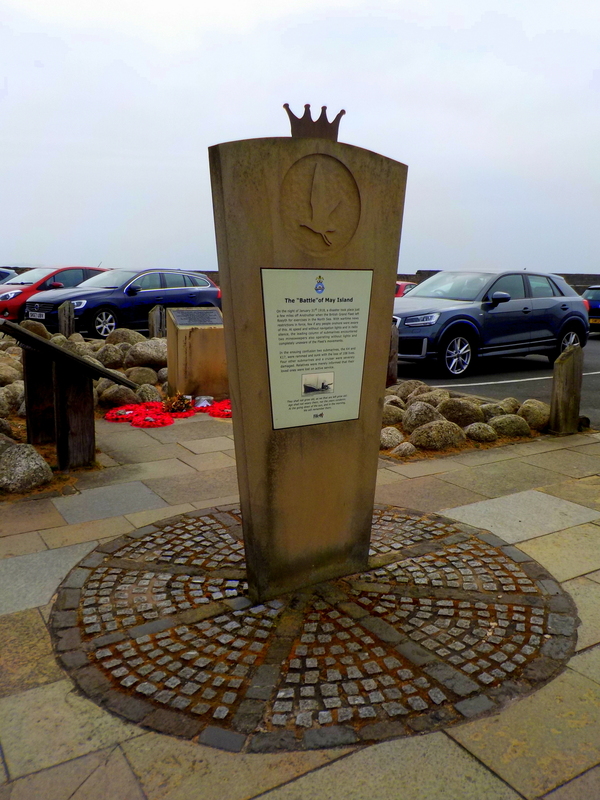 The memorial stands on the quayside opposite the Scottish fisheries museum Anstruther Fife in view of the Isle of May where the tragic incident to place. 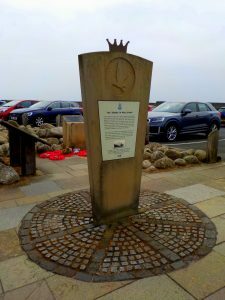 On the 31st January 2018 a service was held to mark the 100th anniversary. 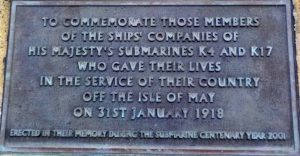 In 2002 a memorial was unveiled to the two Submarines sunk off the Isle May, K4 & K17. Running with radio silence with minimum of navigation lights they came across a mine sweeper trawler and a cruiser HMS Fearless. K22 took evasive action jamming her rudder of the submarine which set off a number of collisions with the column. 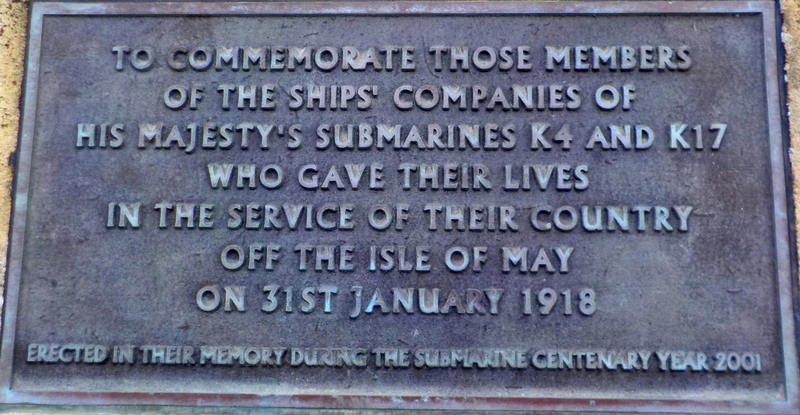 HMS Fearless struck K17 sinking her in 8 minutes with the loss of 9 men. K3 taking evasive action struck K4 instantly killing all of the crew. In total it was reported that 108 men were lost. The incident was not reported to the public until years later. Percy Adams another Ipswich man was killed onboard K4.